Bus transfers: The reasons why you may need a bus transfer in Berlin are countless. You might need one for a transfer from Schönefeld or Tegel airport to the center, to go to a party from your hotel or simply to the train-station. Whatever the reason, Germany Bus will gladly take care of your request and provide you with the optimum bus and services. Sightseeing tours: The same is true for the organization of a trip by bus with driver for your sightseeing tour in Berlin. Germany Bus will make available to you buses and minibuses with driver, depending on the given number of people. If need be, we can also hire the services of a competent Berliner guide for your tourist trips, always in accordance with your own criteria. Whether it be itineraries for an overall view of the city or more specific routes, the array of bus trips available in Berlin is wide enough to meet your demands. Excursions by bus: If you wish to travel outside the main city of Berlin in order to discover the surrounding tourist attractions, we also offer you the possibility to book a bus with driver for your excursions in and outside Berlin. 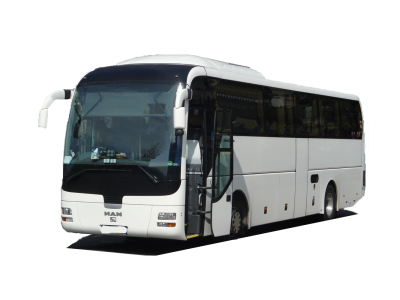 You may choose to rent a bus through the help of our company and organize the whole of your excursion by yourself or appeal to Germany Bus and City Tours operator for related necessary services or to undertake the building up of your tourist trip. Therefore, in the context of an excursion by bus departing from Berlin, we can hire a well-informed local guide, book tickets for all sorts of attractions and events, or order menus for your group; we will set up the most optimum and practical program for your trip! Travels by bus: It is of course possible to rent buses for trips from Berlin to Germany Bus. Wherever you wish to go -from Germany to Poland or from Italy to Austria- the tour operator City Tours remains at your disposal thanks to its wide network of tourist companies in Germany and Europe. You can ask us for the maintenance of your trips anywhere in Europe. Whatever the case, our partners' bus drivers will gladly drive you anywhere you want. Berlin Bus: It offers appropriate buses for trips in Berlin and its surroundings. The company's website gives you access, among other things, to information on the renting of buses and minibuses for trips and excursions from Berlin, as well as transfers and sightseeing tours in Berlin.
. We will do everything to meet your demands and send you an estimate of your guided tour, journey, trip or transfer in Berlin!